Hurry – Australian Cities To Singapore For $260 Or Less! Lately, we have seen some incredible fares to Asia, and I think this deal is unmissable for travellers wanting to visit the lion city ‘aka’ Singapore. Scoot are currently having a sale from all Australia airports that they operate out of. 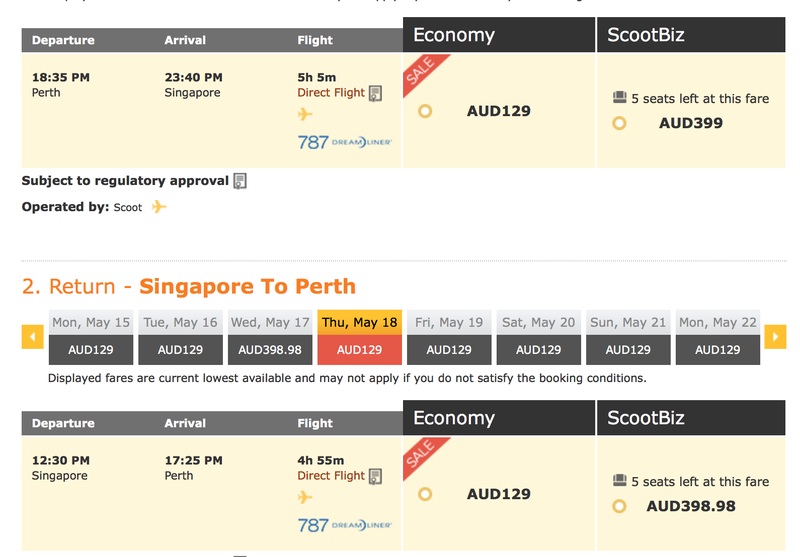 Sydney, Gold Coast, Melbourne and Perth to Singapore for a little under $260 AUD. Insane! The availability of these flights is anywhere from March to July 2017. To book these flights I would recommend using an OTA (Online Travel Agent) such as Skyscanner or Momondo to direct you then to Scoot’s website where the booking will be made. This is a brilliant sale and will be useful for a lot of travellers. I would recommend purchasing these tickets as soon as possible as I don’t think they will last too long.